It was broadcasted from the Civic Center in Springfield, Massachusetts and featured pre-taped matches, interviews & storyline segments on the road to the ‘WWF WrestleMania III’ PPV. 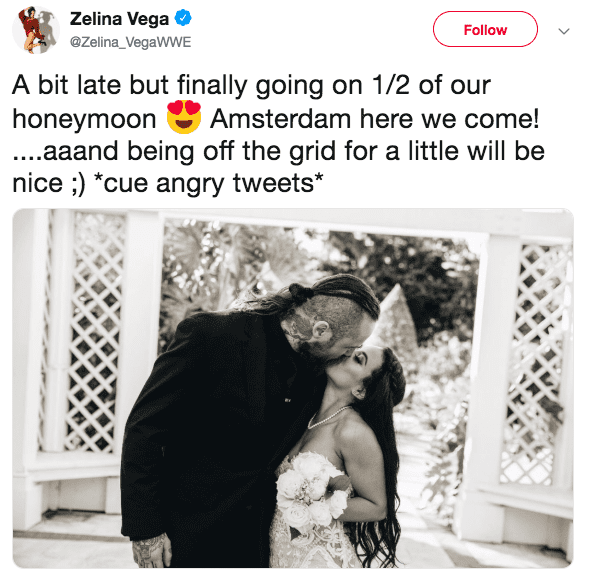 As we noted last year, former NXT Champion Aleister Black and SmackDown Superstar Zelina Vega got married last year. Vega recently noted on Twitter that they’re going to take a little time off now and go on honeymoon. According to the Wrestling Observer, former NXT Women’s Champion and Mae Young Classic 2017 winner Kairi Sane is next in-line for a WWE main roster call-up from NXT. Lars Sullivan was supposed to be the biggest WWE main roster call-up from NXT out of all of these, but he hasn’t debuted yet.